Users have an endless choice of luminaires (light fittings) and this guide goes into basic lighting concepts, luminaire categories and luminaire performance as well as the retrofit of existing installations. Luminaire safety includes marking, insulation classification, construction, components, internal and external wiring, provision for earthing, protection against electric shock and thermal control. 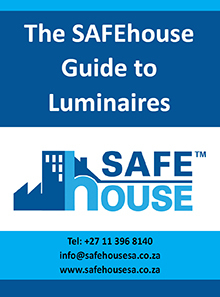 This guide also looks at who polices the lighting industry in South Africa, discusses locally manufactured luminaires and gives examples of substandard luminaires being sold in South Africa. The compulsory specifications for luminaires and lighting products are also provided.